Here at London Rehearsal Space we offer a friendly and professional Studio Hire Service. We have regular clients who hire our spaces weekly and also clients who book on an ad hoc basis. 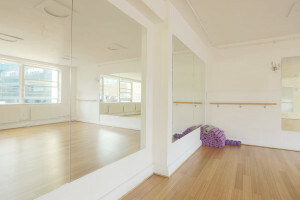 Our aim is to provide high quality rehearsal space in Central London at affordable rates. We welcome clients from all creative and fitness backgrounds. Let us know what you need and we will do everything we can to help.